Geiger has a gift: he knows a lie the instant he hears it. And in his business—called "information retrieval" by its practitioners—that gift is invaluable, because truth is the hottest thing on the market. Geiger's clients count on him to extract the truth from even the most reluctant subjects. Unlike most of his competitors, Geiger rarely sheds blood, but he does use a variety of techniques—some physical, many psychological—to push his subjects to a point where pain takes a backseat to fear. Because only then will they finally stop lying. One of Geiger's rules is that he never works with children. So when his partner, former journalist Harry Boddicker, unwittingly brings in a client who demands that Geiger interrogate a twelve-year-old boy, Geiger responds instinctively. He rescues the boy from his captor, removes him to the safety of his New York City loft, and promises to protect him from further harm. But if Geiger and Harry cannot quickly discover why the client is so desperate to learn the boy's secret, they themselves will become the victims of an utterly ruthless adversary. 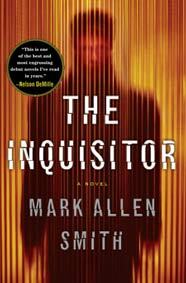 THE INQUISITOR by Mark Allen Smith is getting great press. It already has received starred reviews from Publishers Weekly, Kirkus, and Library Journal; and Nelson DeMille says, "This is one of the best and most engrossing debut novels I've read in years, and also one of the most original." Needless to say, I was extremely excited to read this novel. And I do have to say that THE INQUISITOR is a very special thriller. I enjoyed it a great deal or maybe I should say I "appreciated it" since this book contains some pretty gruesome scenes. 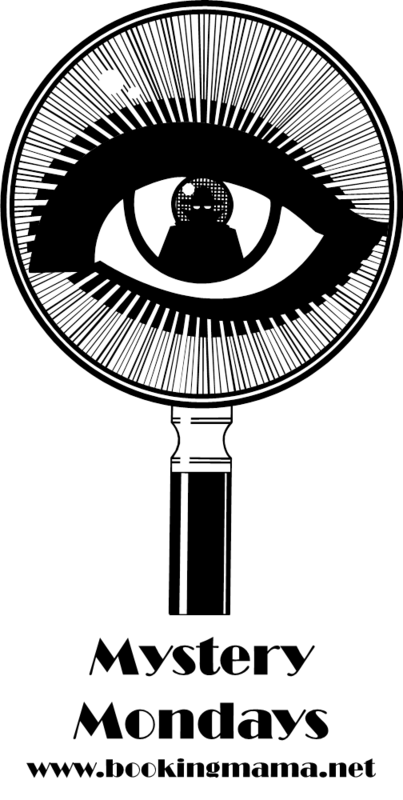 THE INQUISITOR tells the story of Geiger, a man who has a gift for getting to the truth of the matter or as he calls it "information retrieval." He uses a variety of physical and psychological methods to uncover secrets; however, he has a rule that he won't work with children. When his partner finds a client who wants a twelve-year-old boy interrogated, Geiger soon discovers that there is more to his client than meets the eye. He ends up rescuing the boy and then going to extreme measures to protect him. In the meantime, Geiger must uncover why the client is so keen on gathering information from the boy, and Geiger and his partner find that themselves involved with some pretty serious bad guys. While I did find many parts of this book to be very good, I don't know if my feelings are quite as strong as many of the reviews out there. Don't get me wrong. I really liked this book, but I don't think it will go down as one of my favorites of the year. I can't put my finger on why I felt this way, but I suspect that my expectations might have been set too high by all of the other reviews I've read. I have a feeling if I had just picked up this book and read it, I would be telling you that this is an excellent novel. So, I'd like to share with you some of the fantastic things about THE INQUISITOR that did manage to impress me. First of all, I thought the premise of the story was extremely original. A story with a protagonist who was an "information retrieval" expert isn't something you find every day. Add to that, Geiger wasn't exactly what you'd call a traditional hero -- he used some pretty gruesome means to extract information. As result, I give some kudos to Mr. Smith for creating a unique story with unique characters in a genre where things can get kind of stale. Another really good thing about this book is how suspenseful it was. Despite having some pretty high expectations, I was surprised by just how well-done it was. The story was engaging and the plot twists were very sophisticated. I was caught off guard more than once, and I thought the pacing of the novel was excellent. I have a feeling that most fans of this genre will be impressed. However, it was the character development that really made me appreciate THE INQUISITOR. All of the characters in this story were complex (and by that I could also say troubled); and none more than Geiger himself. Truly, Geiger is one of the most memorable protagonists that I've encountered in recent memory. I liked Geiger, I really did, despite his choice of professions; and I loved how he blurred the lines of good and bad. Geiger is just fascinating because he is so darn messed up. He has virtually no memory of his life before he woke up on a bus when he was around twenty years old; and he suffers from debilitating migraines when he begins to remember his childhood. He has only business contacts and no real friends, but for some reason, I liked him. Maybe it was that he had an emotional attachment to the boy and wanted to protect him from harm. The book ended with a few surprises and I guess you'd call it a cliffhanger of sorts. I'm sincerely hope that Mr. Smith will continue to write additional books about Geiger because I am dying to know more about him -- both his future and his past. 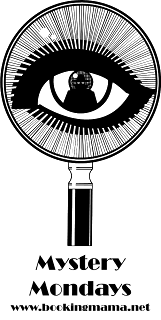 THE INQUISITOR is highly recommended to fans of literary suspense novels. This will likely temper my enthusiasm in reading this one, which is a good thing...I find reading too many rave reviews of a book gives me unrealistic expectations. I'm listening to the audio of this one now! Wow, this totally sounds up my alley! I actually haven't heard about it before, so thanks to you I'll be adding it to my must reads list. Thanks! A bad guy with some ethics is always interesting. This sounds good, gruesome details and all. It sounds suspenseful but I don't know if I could read a book about torture! I'm not normally into thrillers, but those that are literary catch my attention more than those churned out as if on a conveyor belt. The uniqueness of the plot appeals to me even though I'm not sure how I'd feel about the torture details. I will be considering picking this one up from the library. I've been in search of a good thriller lately, and this seems to fit the bill. Gotta check it out!